Police are appealing for witnesses to an assault in Chapel St Leonards. The incident took place on Friday, December 9, last year on the corner of St Leonards Drive and South Crescent. 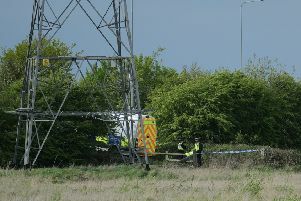 A spokesman for Lincoolnshire Police said: “We believe a woman was assaulted in this area about 8.30pm in the evening. “We are particularly interested in speaking with a dog walker who passed by at the time the woman was on the floor. A comment was made to the dog walker that the woman was drunk.